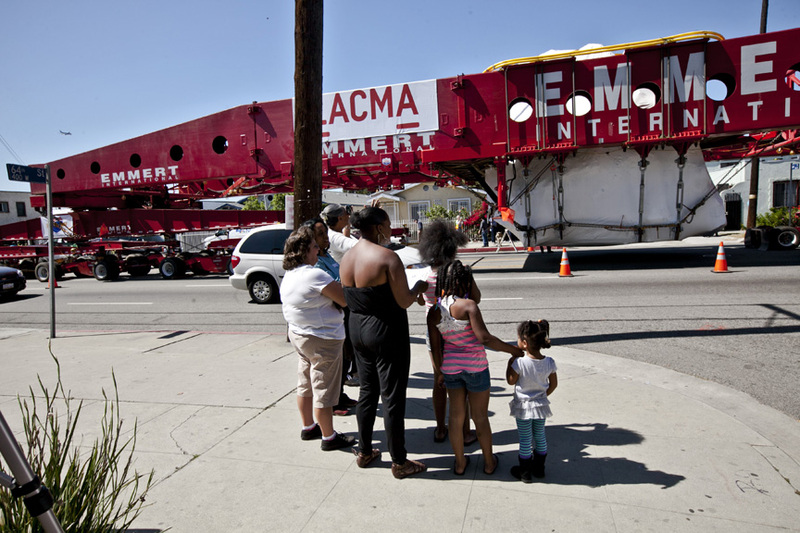 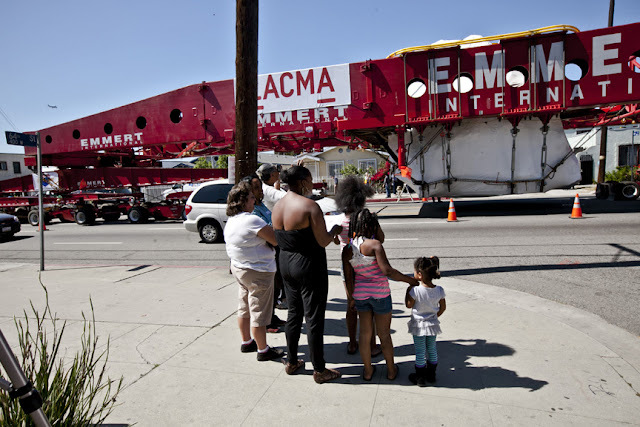 The 340 ton rock that will make up "Levitated Mass" at LACMA is parked in the middle of the road at Figueroa Street near Gage in South Central L.A.
Area residents stopped by and snapped photos of the giant rock and transport vehicle. The rock is expected to reach LACMA sometime early Saturday morning. 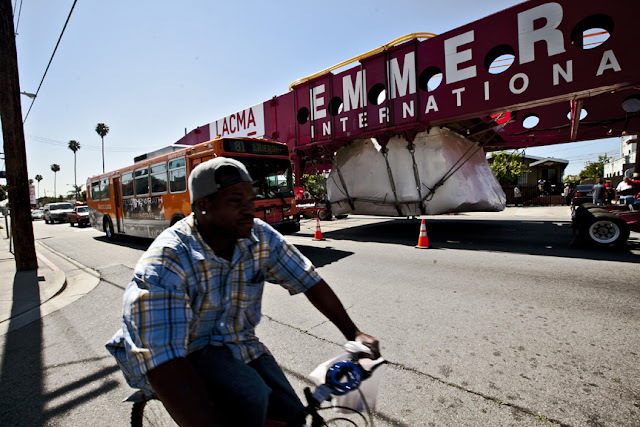 The mass levitated on Fig. 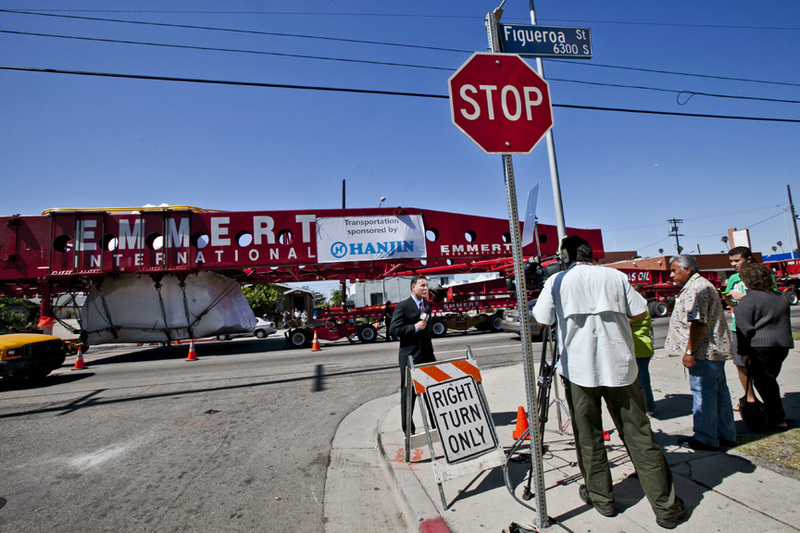 Local TV news with a live broadcast.